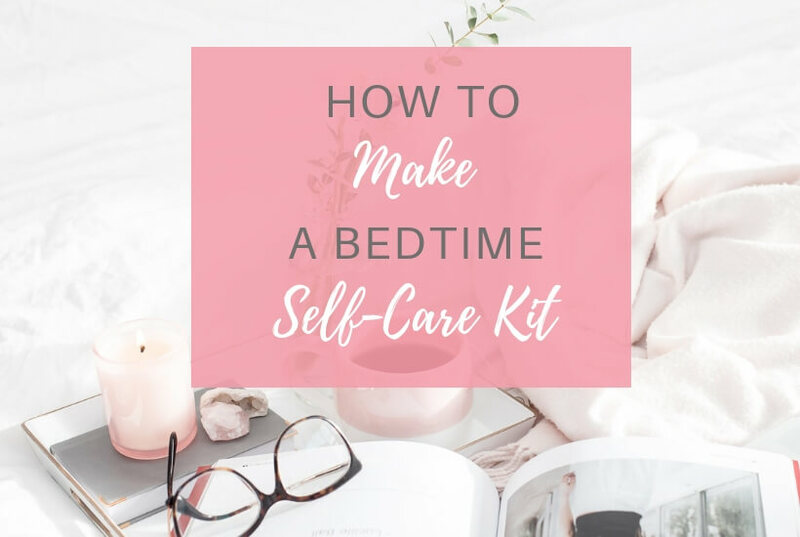 If you’d like to relax and enjoy your evening, learn how to create the ultimate bedtime self-care kit! You’ll be able to use it each night before bed, or whenever you’re needing an extra pick-me-up on those days you’re depressed or anxious. 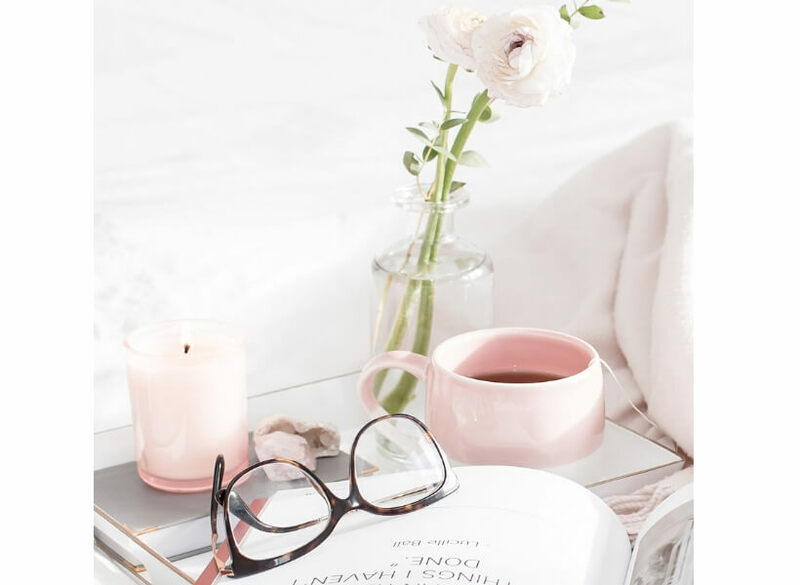 Relaxing before bed is one of the most important and wonderful things you can do for yourself, especially if you’re incredibly busy. I’m a big believer in relaxing before bed. Read why it’s so important here. When you use your evening to relax and rejuvenate, you feel incredibly refreshed the next day. There’s no substitute for it. Yes, I know you have tons of things to do and the house desperately needs cleaning. Go ahead and do those things, but spend only a few minutes on them. Instead of spending the whole evening working on chores, I invite you to relax. It’s a beautiful (and rare!) thing to just sit and relax and enjoy the last part of your evening before bed. It’ll help you sleep better, make you happier in general, and actually give you MORE energy to get those to-do’s done. If you’re new to relaxing before bed, you may wonder what you should do. Below I have a kit you can create with relaxing things you’ll enjoy. 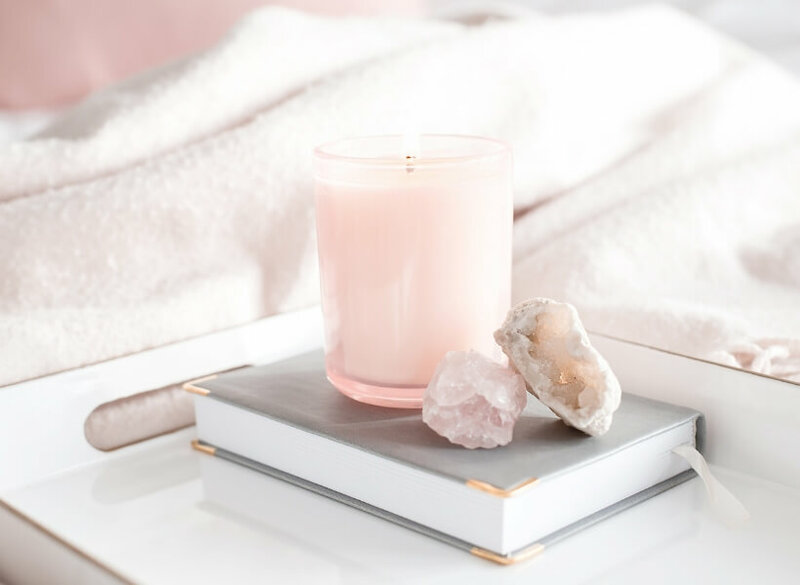 The resources I’m sharing help me relax and I know they’ll do the same for you! NOTE: These are NOT affiliate links. I’m sharing things I love and will not make any money by telling you these recommendations 🙂 I hope they help you as much as they’ve helped me! It’s important when putting together your kit that it look attractive and organized. You don’t want your precious things in an ugly plastic box. That’ll defeat the whole purpose of your new routine! Before buying, making, or re-purposing a box, decide where you want to put it. It may take you a few days to come up with some options. The size you buy will depend on where the box ultimately lives. Be creative! Your box doesn’t have to be stored in your bedroom. As long as it’s in a place where no one will (likely) get into it, you’re good. Your Nightstand. My kit fits nicely in my large nightstand. I have two large drawers and my items fit well in them. I don’t use a box since the drawers organize my things well. Instead, I have small boxes inside my nightstand for my special pens, etc. Under your bed. I don’t like storing a lot of things under my bed since it’s important that my room feel serene. However, a friend of mine bought a beautiful basket with a lid and stores her kit neatly under her bed. In your closet. This is a great option if you have small kids. Your kit is just for you! No sharing! If you buy a pretty box and store your things neatly in the closet, it’ll also stay away from small fingers. The family room. If you have storage in your common living space, your box can absolutely stay in your family room. Just be sure that your family knows that your box is not common property!! What to Put in Your Self-Care Kit? Although the contents of your kit will vary, below are some items that most Moms will want for their box. 1. Writing Supplies. 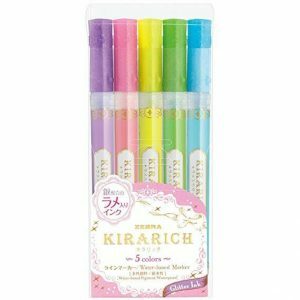 Your special kit is the perfect place to put your favorite pen, markers, highlighters, washi tape, etc. 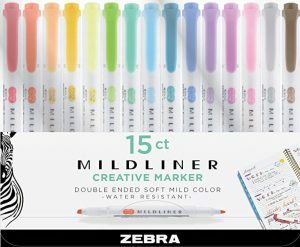 You want your kit to be something that you look forward to using and what’s better than knowing that your favorite pen is right where it’s supposed to be, in your kit? 2. Journals. I have several journals in my kit. I have a gratitude journal and an everyday journal, where I write my thoughts from the day. Journaling is one of the most lovely (and powerful!) things you can do to help you relax in the evening. 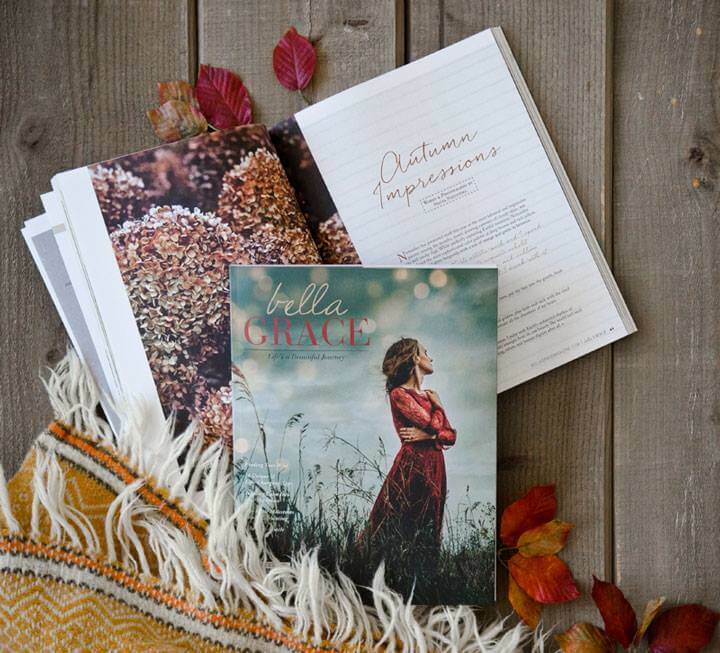 3.Bella Grace Magazine. My favorite magazine of all time is Bella Grace. It’s technically a magazine, but it’s more like a beautiful keepsake workbook. The magazine contains beautifully written articles and photography. If you like to journal but don’t have the time, this magazine may be your answer. It’s printed on thick paper and contains questions and journaling prompts that you can annotate right in the magazine. 4. Books and Kindle. I like to have both a kindle and a “real” book in my kit. If my husband goes to bed early, I can keep reading on my kindle. I suggest that you limit your kit to just a few books. Otherwise, it may become a box of books instead of a relaxation kit! 5. Coloring or Doodling Supplies. 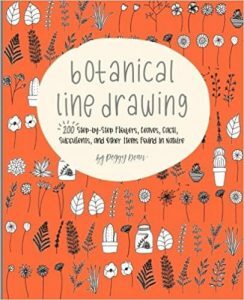 The recent trend over the past few years for adult coloring books is fabulous for your relaxation kit. I also like to include books on brush calligraphy, doodling art, and other small, simple art. 6. Essential Oils. If you haven’t tried essential oils yet, you will fall in love with them. 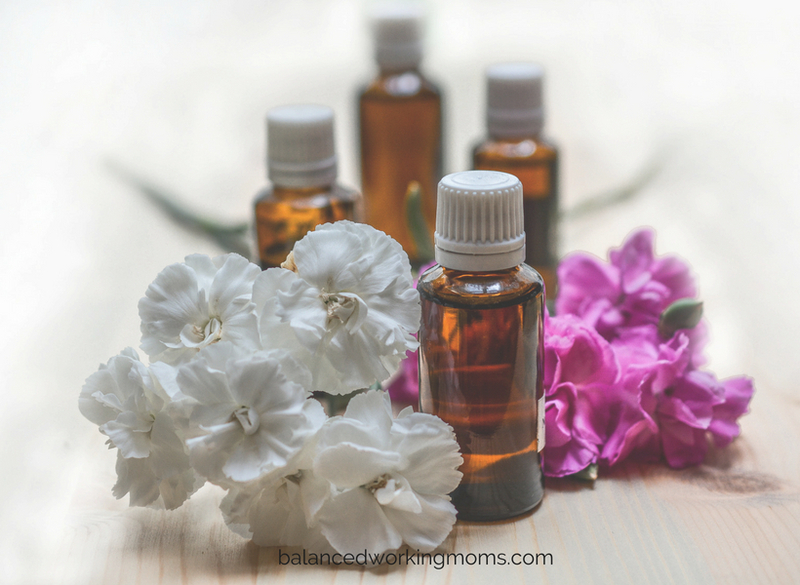 Essential oils can be a wonderful tool to help you relax. If you’ve never used this tool, it’s probably easiest to start by purchasing a diffuser and putting in a few drops with some water. This will help relax you and everyone in your home, so it’s a great solution. I like to use doTERRA oils. The oils I recommend for relaxing are lavender (of course! ), and some blends. Balance is a great blend and is my go-to oil. 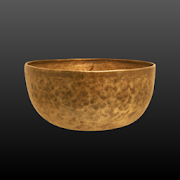 It has a calming and centering effect on me and I use it just about every day. Serenity is another amazing blend. It helps promote relaxation and sleep. I like to diffuse it the last hour before bed and also while I sleep. 7. Eye Pillow. I also like to use an eye pillow to relax. An eye pillow is usually made of fabric and has little beads in it which gently hold down your eyelids and help darken the room. I can’t begin to describe how relaxing it is to lie down and not even have to struggle to keep your eyes shut. Did you even know that was a struggle? Here is a link to eye pillows on Etsy. I love purchasing things on Etsy so I can help out a small business. Music. About an hour before bed, I start my evening routine by turning on some relaxing music. As soon as the calming melodies begin, it sends a signal to my brain that it’s time to slow down and turn off my brain so I can rest. I sleep the soundest when I follow this routine. My favorite bedtime music is a radio station on Pandora called Liquid Mind. (Warning: never play this station if you’re driving since you may nod right off!). I also like to listen to music from the free app, Insight Timer. I don’t have any particular favorites. Instead, I just type “sleep” in the search and enjoy listening to various music that’s designed to help you get a good night’s rest. Relaxation Props. Before bed or any time I feel stressed, I like to do supported child’s pose. 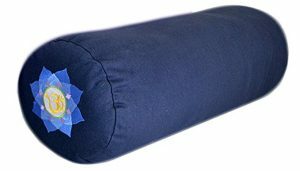 I keep this bolster in my closet so I can pull it out whenever I need some extra relaxation. If you’d like to learn how to do this pose, click on this youtube video here. After reading this article, think about what items resonated with you. What would you like in your own self-care kit? Are there things you love that aren’t on this list? What would you add? As you create your kit, you may want to do it slowly so you can buy quality items. Also, if you purchase something and don’t love it, please remove it from your kit! I bought pens were stunning, but they left huge blobs of ink when I wrote. Ick! I took those right out of my kit and put them somewhere else in the house. Another idea is to save the items you love in your shopping cart or Etsy favorites and buy them for yourself as a reward for something. I love doing this when I’m building a habit. Click here for my free class on how to build a habit that actually lasts! Let me know in the comments what you’d like to include in your self-care kit! I can’t wait to hear all the ideas we’ll collect on this! What a great idea! I have never thought to do this, but I too love evening relaxation. 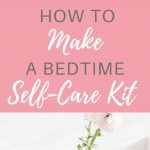 I usually have it all set out so once the kids go to bed I can have my down time without having to prepare everything. I would love to make myself a box with a few of these things as well. Love this post!